Jan Hunter is a creative problem solver who has enjoyed two successful careers. Her experience as a radio journalist was not only rewarding and award-winning but also an ideal training ground for her public relations career. Her inherent understanding of how the media really works is one of her greatest assets and a consistent key to her clients’ success. Leaving reporting behind, Jan embarked upon a career in public relations. After working as public relations manager for a prominent New England resort, she became the Corporate Public Relations Director at Boston advertising agency RGS&H where she supervised corporate public relations activities. Later, after working as a consultant for a diverse range of clients including Ecco Shoes, Star Supermarkets, and nationwide agency Rapp Collins Marcoa and its affiliates, Jan formed Hunter + Co Communications where she has worked with some of the top brands in several categories including financial services. She has worked with banks, mutual funds and financial service technology firms creating strategic communication programs that achieve results. She enjoys a strong working relationship with several leading members of the press in both the financial service trades and the business media. 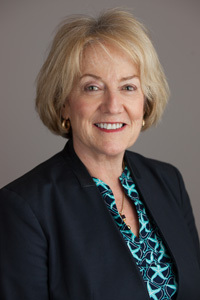 Jan also works with several nonprofits and is a board member of New Generation Energy (NGE), a Boston-based nonprofit offering investment options in renewable energy and energy efficient projects. NGE helps nonprofits and small businesses develop and fund green energy projects.